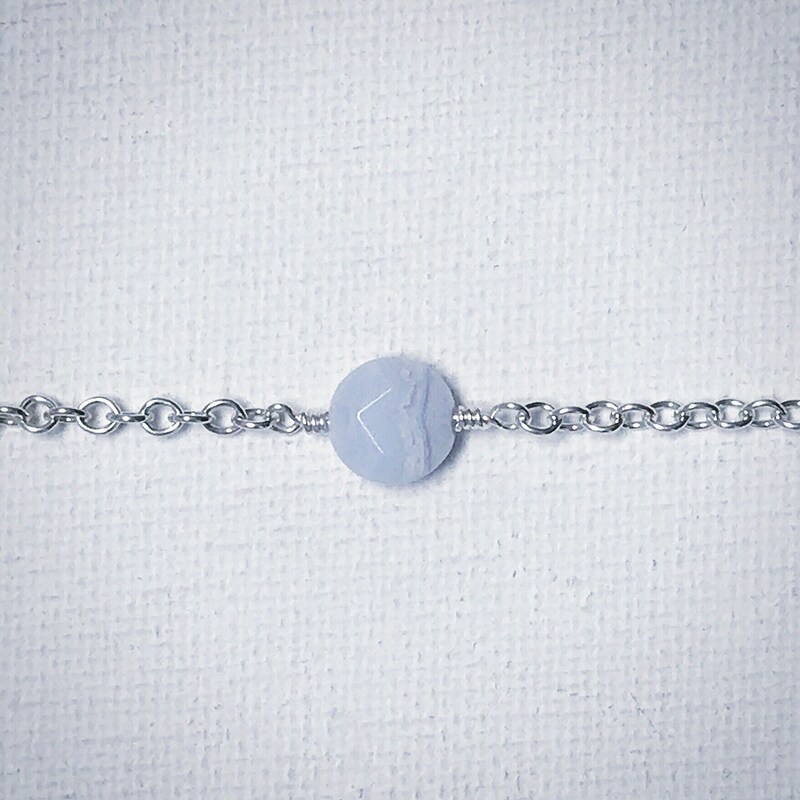 The shades of blue bracelet set is the perfect gift for any jewelry lover in your life. 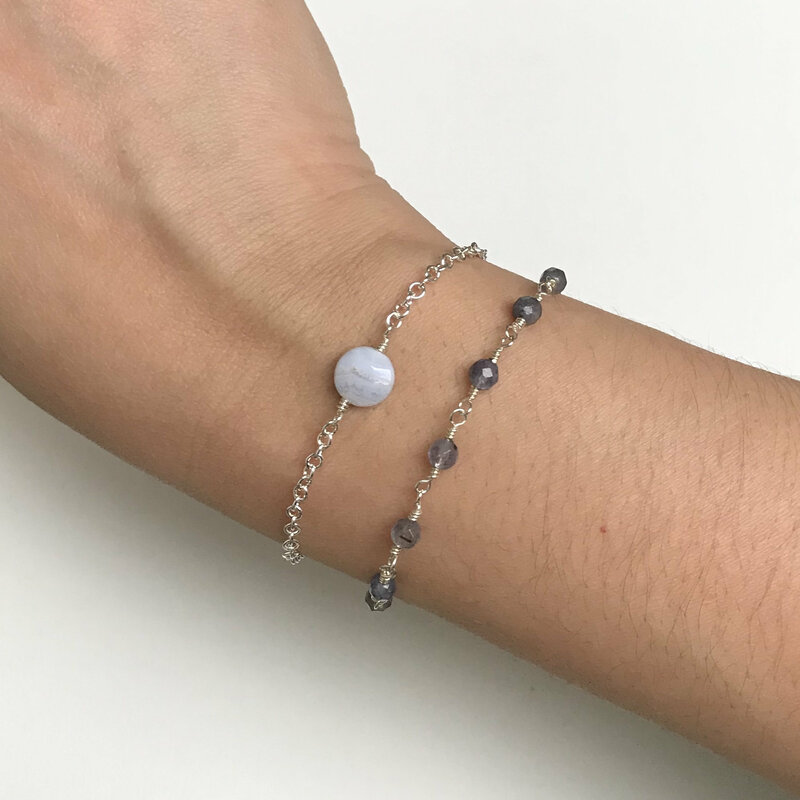 This delicate gift set features one single bead blue lace agate bracelet and one iolite bead chain bracelet. Each bracelet is handmade using natural semi-precious gemstones and sterling silver and finished with a sterling silver lobster claw clasp. -8mm faceted coin shaped blue lace agate bead. -Hand wrapped with sterling silver wire on a sterling silver cable chain. 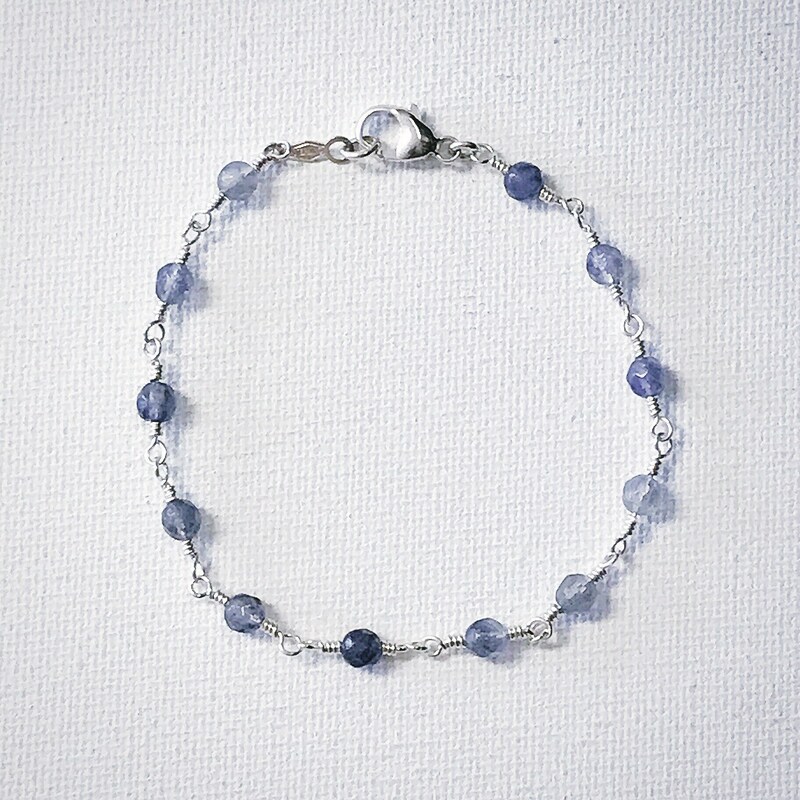 -4mm faceted round iolite beads. -Hand wrapped with sterling silver wire. Available in two lengths, 7 inches or 8 inches. Please be sure to choose your desired size during checkout.